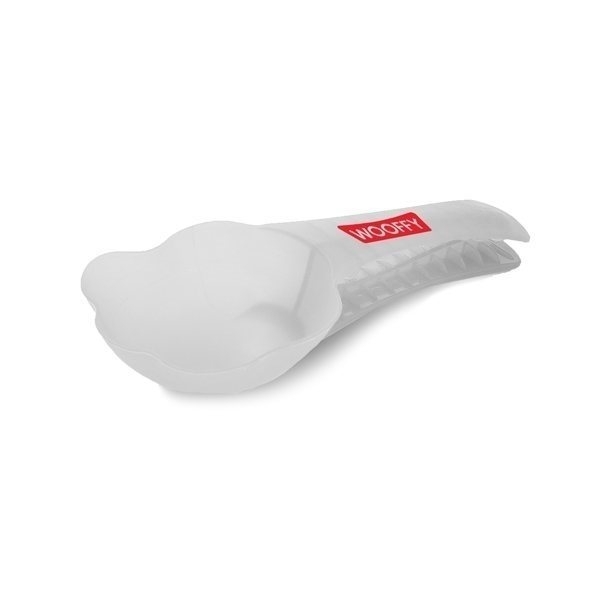 Serve and store your pet's dry food with our Scoop n Clip. Use the scoop to measure the appropriate amount of food for each meal and then doubles as a clip to keep the bag securely shut. Markings in the scoop can measure 1/4 cup, 1/2 cup and 3/4 cup. 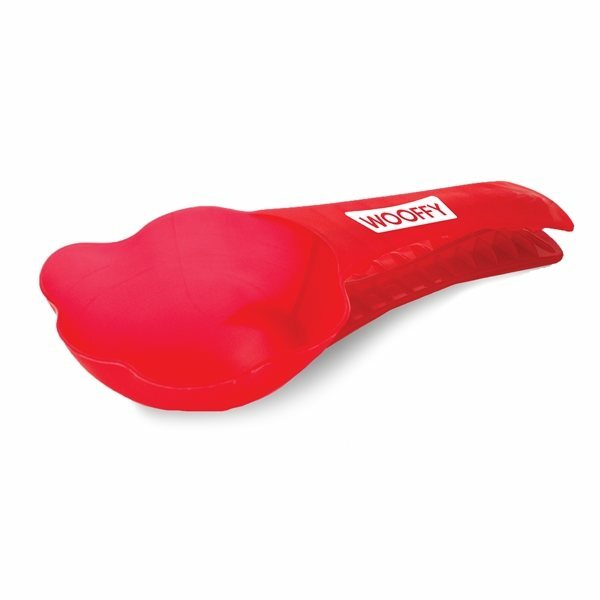 Available in several fun colors, this item is perfect for any pet lover! It's a little bit bigger than I expected, which works out really great! It's fun and unique product. Can't wait to pass these away! Adorable and great give-a-ways...we liked the fun colors that we could choose from. 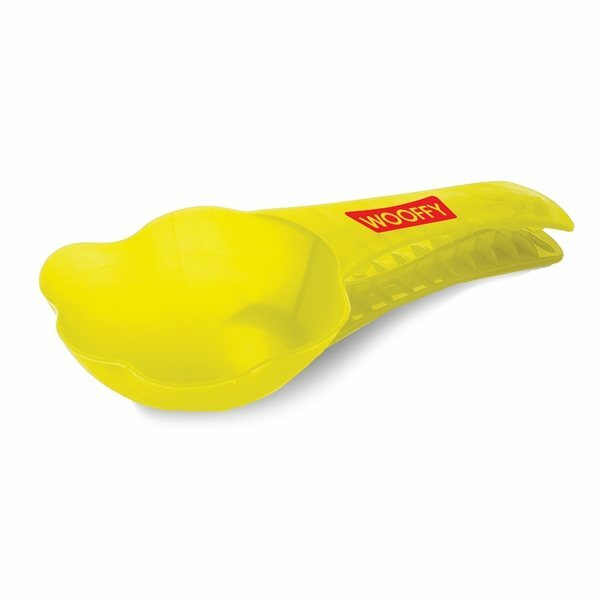 We gave this to our staff for staff appreciation day, and they were all very happy with it.